This 800 square-foot home offers easy living at a great value. 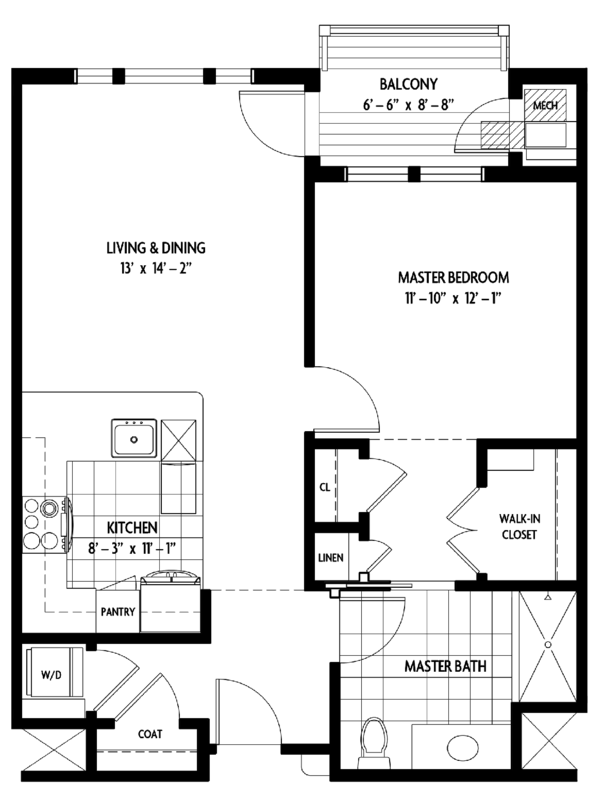 Available with a southern exposure, this floorplan captures the master-suite feeling with a dual entrance bathroom from both the bedroom and common space. Paired with housekeeping and home maintenance, you’ll have time to enjoy all the Peconic Landing lifestyle has to offer in The Shinnecock.